Modern Metal Finishing goes beyond Black and Clear anodizing. These parts were media blasted and Hardcoated in traditional Desert Yellow and Olive Drab Green. Multiple components requiring the same color at assembly, often run together to eliminate the difference in color range and hue values. Photo courtesy of Modern Metal Finishing. Sun Glo Plating Company, of Clearwater, Florida, added gold plating and silver plating services to its 32-year-old list of metal finishing abilities that also includes numerous coating, cleaning, plating, and polishing processes. Among its processes, the big three are metal plating, powder coating, and CNC machining. While metal plating changes the exterior of metal by adding a metal coating, powder coating is achieved by electrostatically spraying a polymer that is heat cured, according to the Sun Glo Plating Company’s website. “Our team ensures your products are best in class, meet all the required specifications, and are held to the highest standards,” said Dave Brackenhamer, director of business development and spokesperson for Sun Glo Plating Company. Brackenhamer said in a prepared release that Sun Glo has more than 32 years of experience providing expert advice to both small and industrial sized clients. Sun Glo Plating Company (https://www.sun-glo.com) is AS9100:D and ISO 9001: 2015 certified and Nadcap accredited. Its certifications apply to electroplating, electroless plating, and Type 1, II, and III anodizing. They also cover conversion coatings, passivation, powder coating, wet paint, and the manufacturing and assembly of various products. Sun Glo’s manufacturing processes include stamping, machining, resistance welding, and brazing for aviation, space, defense, and power generation industries. “Adhesive bonding, corrosion resistance, better appearance, hardness, and durability are some of the benefits that can be achieved through this process (anodizing),” Sun Glo said. “Identifying the benefits and application for the finished metal part will determine which anodizing process (Type I, Type II, or Type III) is used. Type I, chromic acid anodizing offers corrosion resistance for aerospace and precision machining applications that require high fatigue resistance. It is a thin coat up to two ten-thousandths of an inch (0.0002 inch) thick. 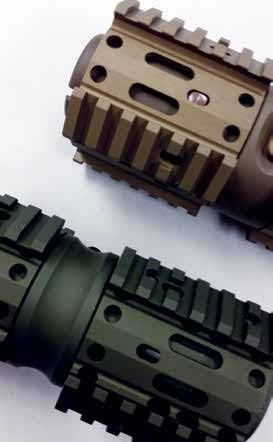 Type II, the lower cost, more common sulfuric gold anodizing type ii acid anodizing, builds a thicker coat up to 12 ten-thousandths inch (0.0012 inch), and is common in military applications, architectural materials, optical components, and sporting goods. Type III, hardcoat anodizing, is the workhorse of the three processes for components that are subject to heavy-duty wear and tear. The material is thicker, denser and more resilient to protect it from damage and harsh environments. “There is so much more to plating than ‘dipping and shipping,’” Sun Glo said. A gold plater, such as Sun Glo, can attract customers from numerous industries, including aerospace, military, architecture, optics, sporting goods, and computers. Benefits of gold plating include flexibility, non-reactivity to other elements, high electrical conductivity, and corrosion resistance. Gold plating is used in electronics, in space exploration by NASA, on PCBs, in electrical connectors, and in other conditions where corrosion, wear, and exposure to other elements is possible. “More commonly, gold is added to the surface of silver or copper and is used very frequently in electronic components,” Brackenhamer said. Silver plating, also added to Sun Glo’s services, is a process by which a thin layer of silver is added to a specific piece, said Brackenhamer, adding that this electroplating process tends to be the most popular. Benefits of silver plating include favorable conductivity for heat and electricity, Brackenhamer said. Silver plating is also antibacterial, provides a decorative finish, and is less exorbitant in cost. In Oxford, Connecticut, Modern Metal Finishing supplies clients in aerospace and defense, medical, firearms, automotive, electronics, and general manufacturing with a wide line of metal finishing services, specializing in anodizing, hardcoat anodizing, chromate conversion coatings, non-chromate conversion coatings, and passivation. One of the company’s accreditations is from Nadcap (formerly NADCAP, for National Aerospace and Defense Contractors Accreditation Program), a program administered by the Performance Review Institute. 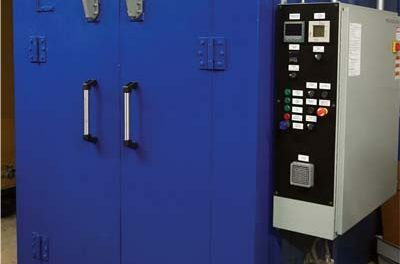 Modern Metal Finishing’s Nadcap accreditation puts the company “ahead of 30 to 40 percent of the anodizers in Connecticut,” Decerbo said. The company meets Nadcap accreditation requirements for aerospace, AC7004, and for chemical processing, specifically for hardcoat anodizing, chromate conversion coatings, anodizing, and passivation. The company also meets the ISO 9001:2015 standard, as well as holding a Federal Firearms License. It is ITAR registered and holds a federal Department of Defense Joint Countries Program certificate. The firm meets many of the MIL specifications, including MIL-A- 8625 F; Type III, Classes 1 and 2; Type II, Classes 1 and 2; MIL C 5541; Mil DTL 5541, Classes 1A and 3; ASTM B-975; and AMS 2700, all for both nitric and citric acid processes. Modern Metal Finishing (www.mmfinc.com) was founded in Naugatuck, Connecticut, in 1985, and moved to Oxford in 2000, in part because of the amazing road network and a need for a larger processing facility. Its location offers nearby access to Connecticut’s Route 8 and I-84, and access to I-91 and to I-95. The new facility devotes roughly 25 percent of its space to a wastewater treatment facility and to an air treatment system that runs 24 hours a day. “We’re very serious about our environmental compliance,” Decerbo said. Among its pre-finishing operations, MMF uses aqueous cleaners to remove oils and buffering compounds without altering the surface thickness. It offers both caustic and acid etch to produce a matte appearance on the surface, and it offers two bright-dip lines to chemically polish or brighten the aluminum. To enhance performance after anodizing, the company offers post treatments, including PTFE (polytetrafluorethylene) for lubricity, and a variety of top coatings to enhance corrosion protection. It also offers dry film lubricant to reduce the coefficient of friction. A thermoplastic polymer, PTFE is the acronym for the main ingredient of Teflon, invented by DuPont in 1938. Modern Metal Finishing offers numerous processes that appeal to aerospace and defense contractors, including hardcoat anodizing, chromate conversion coatings, anodizing, and passivation. 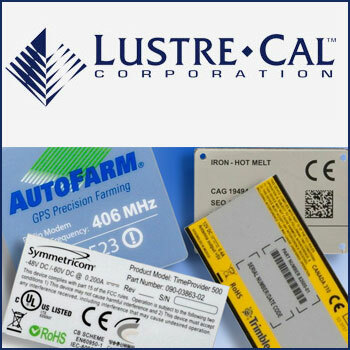 It also offers aqueous parts cleaning, intricate masking, media blasting, dry film lube, non-chromate conversion coatings, and laser engraving. One challenging component that Modern Metal Finishing created a finishing process for was a 4.25-inch sprocket for an aerospace OEM. The part was aluminum, but it had to go through four steps that made it difficult for an average anodizer to coat. The part had to be dipped in a chemical bath, and then it had to be hand-masked. It needed to be hardcoated to MIL-A, 8625 F, Type III, Class 1 spec. Finally, it needed to be dry film coated. Hardcoating is used primarily for aerospace, defense, automotive, medical, and firearms clients of Modern Metal Finishing. Parts up to 36 inches by 54 inches can be lifted by crane to be coated. The company predominantly anodizes 6061 aluminum and 7075 aluminum, although its engineers can work with a customer’s unique alloys, if necessary. Decerbo said the tricky part of hand masking is the worker must accomplish several things at the same time. The worker must be quick, precise, and must have product integrity. Prior to anodizing, Modern Metal Finishing uses aqueous solutions to clean the finishing surface of the part. After anodizing, parts can be post-treated using PTFE techniques. Aluminum can be bright dipped for a shiny finish or etched prior to anodizing to create a matte finish. The black hardcoat matte, non-reflective surface the U.S. Military prefers for its firearms is created through a multi-step anodizing process that leaves the metal components stronger and more durable. Rifle parts are manufactured from 7075-T6 aluminum and 6061-T6 aluminum. The anodizing process conforms with MIL-A-8625, Type III – Class 2. It started with grit blasting and then rack hardcoating on the anodizing line. After the initial grit blasting to create the non-reflective finish, the parts were dyed black in the hardcoat anodizing process. A dry film lubricant was applied where necessary. Another skill that Modern Metal Finishing brings to the table is its ability to fixture a part for anodizing and diminish any contact or electrical marks. In many anodizing processes, a part hangs from a hook and is dipped into a chemical bath that anodizes the metal. Electricity flows through the part.